The name of the game for the 99ers this season has definitely been speed. Led up front by Casasanta and Hill, Brantford uses the stretch pass better than any team in the Alliance this season and their breakouts happen quick. While Hill and Casasanta are the names you see often, the 99ers have gotten really good production out of 2003 born Maddox Callens along with the likes of Tanner Bibby and Richie Albert. This forward crop does have some size, but they will challenge any team to run and gun with them. Waterloo got off to a fairly slow start on the offensive side of the puck. The Wolves have plenty of options up front but it just seemed that they could never get all of them going at once. The season began with Carson Wickie and Nathan Dewar playing very well. When Chase Broda got going, Dewar began to slow and when Mitch Lee picked things up, Wickie began to struggle a bit. Captain Zac McCann has been steady throughout the year and the final couple weeks of the year saw Ryan Elliott really elevate his game. I believe that Brantford has the stronger forward crop. The gap though is very thin and if the Wolves can get all of their forwards going at once, that gap becomes non-existent and this becomes an even debate. Brantford’s defense can really only be described as underrated. Led by the smooth skating and offensive minded Dylan Robinson, the 99ers have been able to send out three sets of reliable players on their back end. Both Ben Feijo and Lucas Branch have been rocks for this team and we haven’t even mentioned 2003 born Cole Hipkin, whom you could argue has been their best D this season. The improved play in net for the 99ers can definitely be contributed to the personnel on defense this season. Waterloo has seen their defense go through some change late in the season. Due to an injury to Owen Robertson, Conner Bradley has actually done a very good job filling in and has brought a nice physical presence to the Wolves defense. Reid Oliver has been the rock for the Wolves all season long and Tyler Alexander’s strong mix of defensive and offensive ability make him quite the threat. Once again, I feel like the defensive edge goes to the 99ers in terms of overall talent but I think the Wolves do a better job at eliminating good scoring chances and keeping shooters to the outside. Some were surprised when Tiago Rocha was named to the All-Star game and not Ben Edwards, but that just shows the steps Rocha took this season. I feel Edwards was considered the clear #1 at the beginning of the year but that has gone to a more even split recently. On the smaller side, the athleticism of the 99ers netminders makes difficult saves look routine. The Wolves have the best goalie in the Alliance in my opinion in Matt Onuska. He carried the team when they were struggling offensively and played a heavy schedule when Graeme Noye went down due to injury. Noye has been solid in his own right, but was limited to just 11 games this season. The advantage definitely goes to Waterloo when it comes to goaltending. The 99ers scored just two goals in three games against Waterloo. I expect a fairly even split in between the pipes for Brantford and much the same with Waterloo, although Onuska could be called upon more often should the Wolves fall behind. This is the only series in the opening round in which the lower seed actually won the season series. Even though the two most recent games went in the Wolves favour, Brantford played very strong games, especially last weekend in Waterloo in a 4-0 loss. I believe Onuska will be the difference in this series and it’s a tall task for the 99ers to accomplish. This will be a long one, but the experience of coach Shawn Dietrich in the postseason should see the Wolves advance in my eyes. Waterloo Wolves over Brantford 99ers in five games. 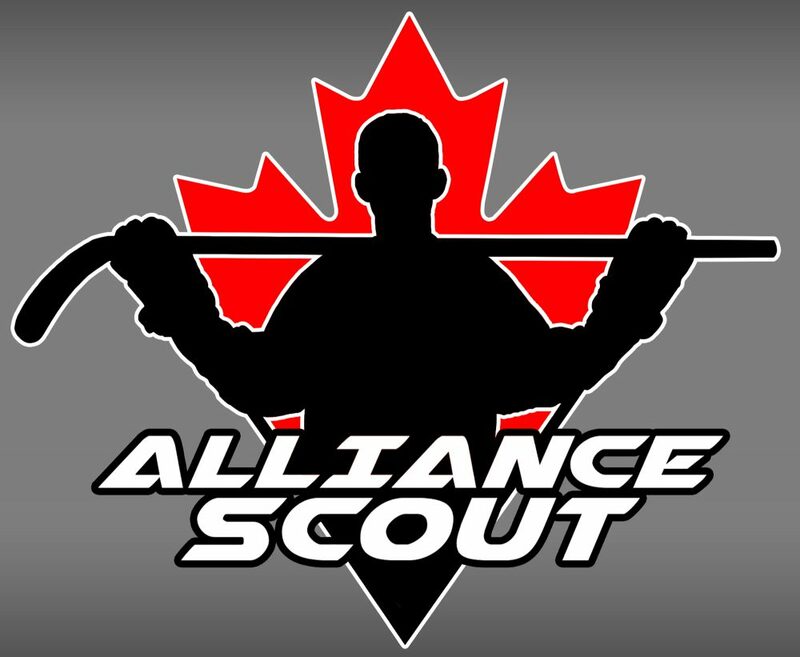 This entry was posted in Alliance Hockey, alliance playdowns, Alliance Scout, Brantford 99ers, Waterloo Wolves and tagged alliance playdowns, andrew casasanta, ben edwards, ben feijo, Brantford 99ers, carson wickie, chase broda, cole hipkin, conner bradley, dylan robinson, graeme noye, lucas branch, maddox callens, matt onuska, mitch lee, nathan dewar, ohl cup, owen robertson, reid oliver, richie albert, shawn dietrich, tanner bibby, theo hill, tiago rocha, tyler alexander, waterloo wolves, zac mccann by Dave Coulson. Bookmark the permalink. Not sure how many games you guys have been too, but Oliver has certainly not been their “rock”. Interesting to see articles favouring players without reason. Agree with the rest. I don’t like people talking down players! But I do agree about Oliver comment, he’s not a rock by any means…..he turns it over quite a lot. Bradley is one of their strongest defenceman imo.